What follows here is an introductory review of the JTR Speakers Noesis 3TX mains and Captivator 212pro subs. My intention is to update this as I gain more experience with the system and have a chance to perform tests and measurements. This first review segment contains a little about the evaluation process, purchase experience, unboxing, testing, and first real gig with the system. I did not have an opportunity to take detailed measurements of the system components, though I plan to do that in the future. A few months ago, I began the research and evaluation phase of a plan to rebuild my PA rig. While I had my old rig (some older Yamaha SM-series cabinets, a couple of Yamaha Club-series cabinets, a set of Altec Voice of the Theatre A7's, amps, and most of the mics, stands, cables, etc. ), it was in disarray and mostly not usable. The amps had developed reliability problems. The Yamaha SM boxes had noisy crossovers with bad 1/4" jacks. The A7's still sounded great, but were hard for me to move around, especially as most gigs I'm now working on my own without a lot of help (my Dad used to be able to help me muscle those around, but neither of us are getting any younger, and he's near 70!). And I always had to rent subs when working gigs that needed them. At the same time, I had dramatically cut back on the number and types of gigs I was doing several years ago, so I was down to a couple of theatre gigs where I was just using the provided system and bringing my own support gear. Within the past year or two, though, those systems have become more broken and less capable, with no planned upgrade, repair, or replacement in the works. 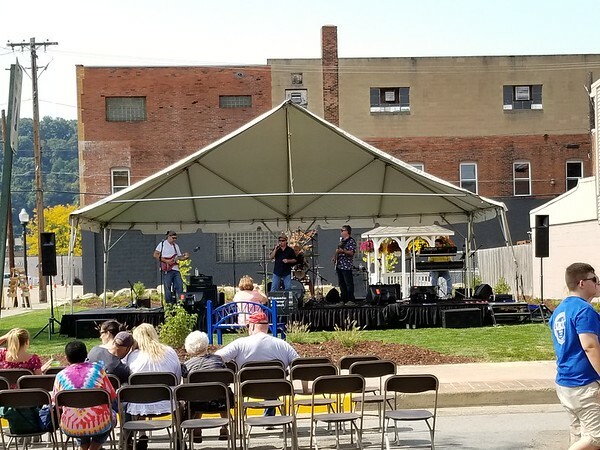 I wanted to get back into some of the local small festivals, and have more control over the sound in the theatre spaces. 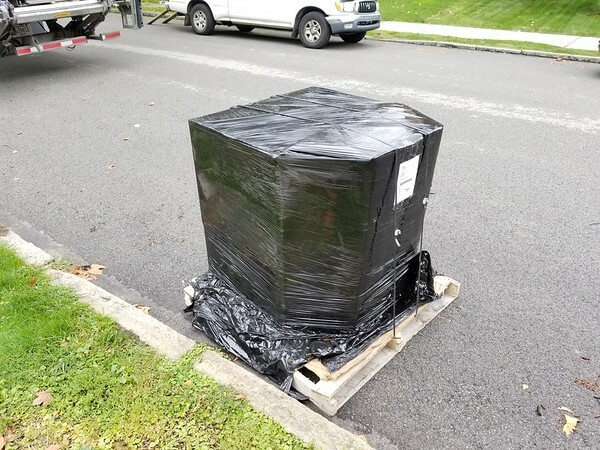 It was time to look at building a new PA system. * They had to be movable and mountable/riggable by one person (me). * They had to be sturdy and capable of use in various environments. * They had to offer good pattern control. * They had to have detailed reproduction in the vocal range, but not at the expense of general live instrument range. * They had to be able to cover an outdoor area, either with several hundred people, and also be capable and practical for covering a smaller setting in a room, banquet hall, smaller theatre, club, etc. * The system had to be flexible in configuration, allowing me to make decisions on setup based on the venue and audience, without having to compromise sound quality by going bigger or smaller. * The system had to be able to run from standard 110V outlets, as most venues I work (and many of the ones I intend to try to work) don't have company switches or the ability to get a 220V drop. * Immediate cost recovery was not a primary concern. Certainly, the equipment must be a good value and there should be the ability to recover costs in a reasonable amount of time, but I'm OK in this case with spreading this recovery over a longer period of time of ownership. My research eventually brought me to the Danley SM80 and the JTR Noesis 3TX. Both seemed to be highly regarded and garnered the kinds of comments I was specifically looking for in a system, especially with regard to intelligibility and pattern control. Unfortunately, both were also just about impossible to hear in my area. In my research, I had contacted Jeff at JTR Speakers for some details on the Noesis 3TX, and to talk about subs. I was specifically looking for subs that were a little easier to move around than the Orbit Shifters or TH-115/TH-118, but that still had reasonable output. I also had some size requirements that would make it just about impossible to roll into one of the theatres I work with something that size. He suggested the relatively new Captivator 212pro boxes. There wasn't a lot of data on them yet, but he talked me through the design brief, and I was impressed. 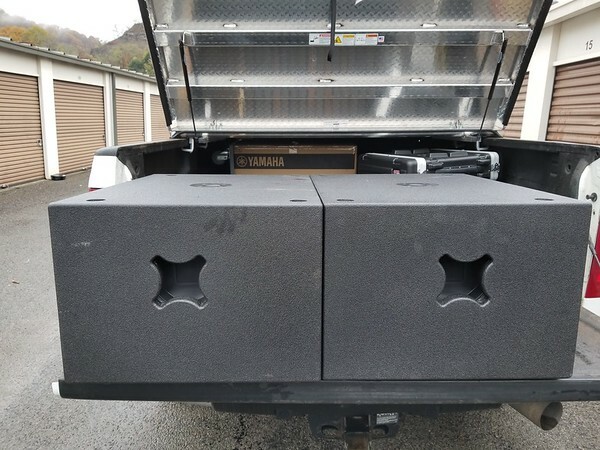 I decided that the 212pro's would probably be my subwoofer boxes with either top, and so looked to make a decision on the tops. As my purchase timeline approached rapidly, I realized that there was going to be no way for me to hear these in person, and I had to do something I really didn't want to do. After a good bit of debate and reading as much as I could from people talking about these boxes, I made the decision to get the Noesis 3TX. One of the things that really pushed me over the edge are the rotatable and replaceable horns on the 3TX, which meant that I could get flexible pattern control out of a single box, which is important to me for some of the configurations I can imagine for these. I ordered two Captivator 212pros, and two Noesis 3TX with the 90/60 horns and in 4-Ohm configuration. Jeff assured me that he would be able to meet my need timeline, and we were off and running. A few weeks later, Jeff sent me the shipping details, and the next day, the speakers arrived on the dock of the freight company. The next day, they were delivered to my door. 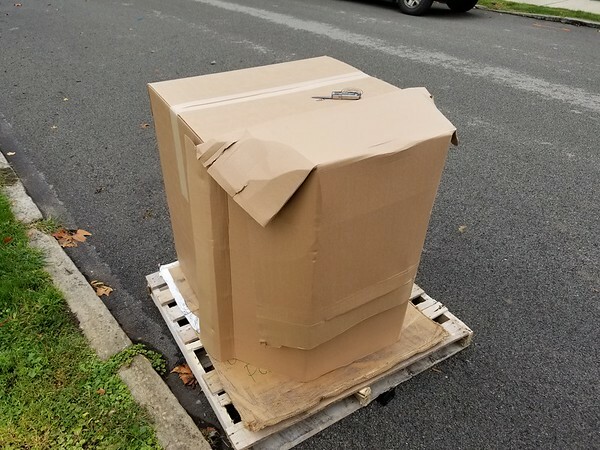 Well, almost my door--they were delivered to my curb, where I broke down the pallet and brought them inside. The subs have nice feet on the bottom. Here, they were on their sides because that's how I picked them up. Sorry about that. The cabinets are each quite liftable and easy to move by a single human. The way the handles are placed on the 212's, it is possible for one person to grip both, making them really easy to handle. After getting everything inside, I had to do some other work, so they sat for a few hours until I could "play" a bit. I rigged the system briefly inside, and set about to playing some tracks through it and messing about with the crossover settings. This was also the first chance I had to really test the amp and processor, so it was a good full-system test for the PA. I was immediately impressed with how well matched everything was out of the box, using the recommended crossover frequency around 100Hz (Linkwitz-Riley, 24db slope). I also set a high-pass on the subs at around 25Hz with a pretty steep slope. I was honestly hard pressed to think of where my ears might want some EQ. This was not an appropriate place to fire up a measurement rig, so I didn't have a lot of visual feedback. In the end, I did nothing! For the upcoming gig that weekend, I figured I could listen to the system a little more "open" and see if I heard anything different. 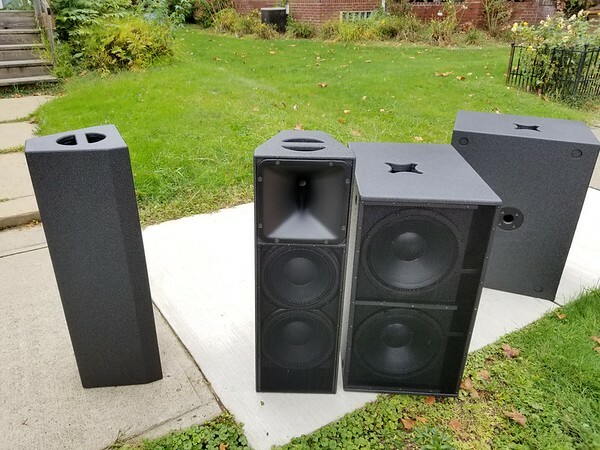 A few days later, I had the first real gig with the system, at an outdoor festival in our community. The only photo I have here is before more people showed up, so it doesn't give a great representation of the crowd size (and I'm just noticing it is a little crooked--oops). I was running a sub on either end of the stage on the ground, and the Noesis 3TX on stands next to them. Through the course of the day, I never had the system over 1/3 - 1/2 power, and cruised at a comfortable 90-95dB C-weighted at the mix tent. There was a lot of headroom available and we could have gone a good bit louder, but really didn't need to do it. It was really easy to mix on these, like mixing on the Altec A7's after they've been dialed-in. Every detail was present, and things didn't turn to mush as they sometimes do when the mix gets busy. I didn't feel the need to add any system-wide EQ at all, and stuck with the crossover as I had set it up initially. 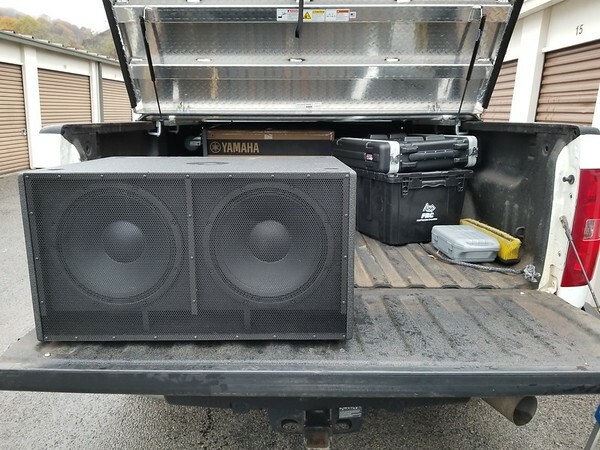 I had plenty of bass from the subs, and could have pushed them a lot harder if I needed more. There were people set up all around the mix tent and further back into the grass lot behind me, and everyone seemed to be happy. I had a limited time to walk around myself, but did have a chance to hear the system from a few points, and was really happy with the overall sound. I had some reports from people who were several blocks away and were able to still hear and understand the vocals, which was good to hear. I was also happy to hear the bands and their cohorts complimenting the system (which might mean that they're used to playing on crap systems, but we're going to hope it means that this system performed really well ). There are more gigs in the works, but the next one I'm pretty excited about right now is a theatre gig in November. It is a straight play in a difficult venue where I will also be doing the musical in the spring, and is one of the venues where the provided system is no longer adequate, so I'm really looking forward to running this system there. Additionally, I will have time in that room to make some measurements and do some more in-depth examination of processing and performance. At the moment, the system leaves me wanting for nothing. 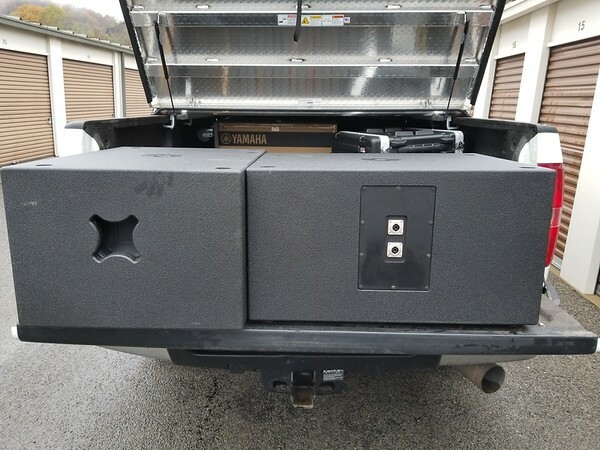 From the beginning, I have been considering the purchase of two additional subs and another amp, so I would have a backup amp for the whole system, plus additional sub capacity for outdoor events and louder theatre-style concerts. My testing in November in the theatre will tell me if that's really necessary for the theatre shows. I'm really impressed with these speakers. Working with Jeff was a pleasure. I look forward to getting some more time on these cabinets and really working them out for a few shows coming up. More will follow here as I do more work with them. As with the other reviews I've posted here, please feel free to ask questions here, or PM me if you wish. I'm happy to answer what I can. Jeff is one of the 'good guys' in the speaker biz. Customer service and support are top notch and Jeff is a genuinely friendly and knowledgeable designer. I'm not at all surprised that you had a great experience working with JTR. I'm particularly interested in how your rig will work in theatre, where pattern control is critical and articulation is essential. I suspect the latter will be no issue but there is a limit to pattern control based on the physical size and form factor (and hence, frequency). Looking forward to your impressions as you do more shows with your new rig. This week, I am working a stage play in one of the local high school venues I work regularly. This is the first time out with the JTR PA in this space. 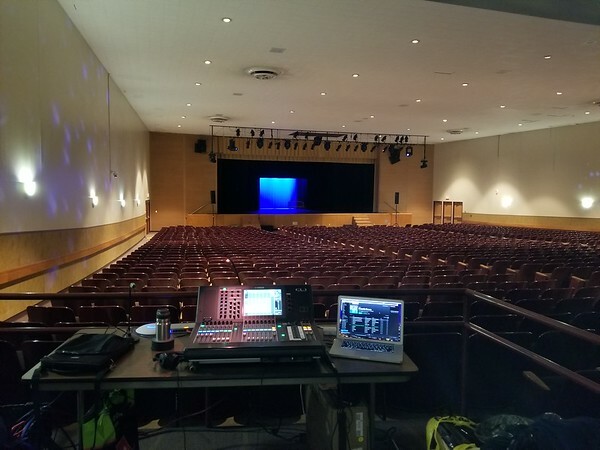 While I could have used the existing house system for this relatively simple show, this gave me the opportunity to get some miles on the brand new console (Yamaha CL1, first time out), play with a bit of automation and programming with that, and some time to ring out and play with the new PA in this space prior to the busy spring season. The venue is a giant box with a sloping concrete floor with a single level of 1970's style auditorium seats in three sections (left, center, right). The venue seats just over 1200. The rear wall is sloped down and has some acoustic treatment added--the only in the space. It has a proscenium stage with a short (about 4') thrust. It is around 60' wide and about 110' from the apron to the mix position against the back wall. The HVAC system emits a constant mess of noise around 125Hz. The room has a habit of collecting LF in odd areas, and can be hard to manage. 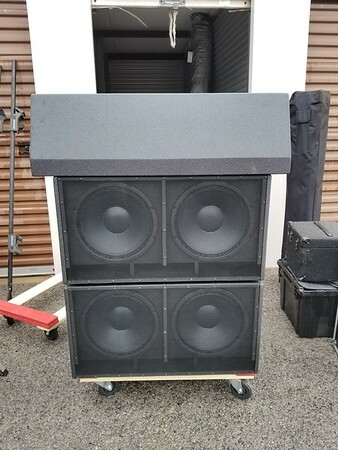 Setup for this show had the two subs placed on the inside edge of the mains, which were on the heavier duty Ultimate stands, and raised such that the horns were just about at head level for someone standing in the back. I continued to run the crossover for the system at 100Hz, and added about 5ms of delay to reinforce positional imaging. I used a separate bus feed (fixed level) for subs, which were really only needed for playback, and could probably have been skipped for this show. Mics were four PCC's across the apron. Interscene music and sound effects were managed with Qlab. Second impressions: I was thinking I would need another set of the Captivator 212pro's to help manage LF in this venue. That was wildly inaccurate. I got level to "louder than comfortable in a closed theatre space" at about half power. My SPL meter had dead batteries. Sorry. Next time. I had tons of headroom. Louder than I'd ever run in this room with an audience was only flickering the -10 lights on the amps. I was happy. Measurement: I will post some traces, but I was really happy how things looked. Pink was relatively flat across the reproduction spectrum, measured from about a third of the way back in the center section. Forward of there things flattened out more. Further back started to show some pattern interference, but nothing crazy. The room has a nasty mode around 150Hz, and there was a little bump around 750Hz. I put small cuts in both places. Other notes: Ringing out the stage mics was really easy with this system. What you hear (in the cans) is basically what you get (out of the PA). I heard so many things I used to miss on the old system. I used the Dugan automixer to handle the stage mics, and it did a wonderful job of it, making my life easier. I found the pattern control with the Noesis 3TX to be accurate, and I believe it really helped in this space. I found that I didn't need a whole lot of EQ in the system to make things generally sound good in the room, and I did not need any additional EQ to make playback and live sources sound reasonable together. These things are major changes for me in this venue, where I used to have to fight the house system to deliver articulate vocal reproduction while not making playback sources sound harsh. Overall, I was able to achieve a much more balanced sound field across the main seating area, and the side seating was almost as good. I remain impressed with the output of the system. For musical season in the spring, I am considering what I might want to do or change. I no longer think I'll need any additional subwoofer capacity. I wonder about a front fill, which I feel has always been needed in this space with the house system, but I feel that the pattern I'm getting from the 3TX in 90-degree horn orientation is more than adequate. I wish I had more time here to take additional measurement snapshots and SPL measurements from the room, and especially in the first few rows of the front center area. However, listening from that area is telling me not to worry, so maybe I should just not worry. I was looking at the JTR web site and there are not very detailed descriptions of the Captivator 212 pro. In particular only one picture. I would like to know more about moving and handling the sub. Could you post some pics of the subs at various angles? There are a number of additional photos on the Facebook page for JTR. I have to unload the truck into storage tomorrow, and I'll try to grab some additional photos then. I find them pretty easy to move by myself. The width still allows one to grab both handles for a balanced lift. I have furniture dollies for moving them around, but they're easy to move solo. They have some serious grippy feet that make them a pain to load into my truck bed with some aggressive bed liner, but I love how firmly the feet plant them on the ground. I'm going to cut some luan to make slides for both of them in the truck. When I eventually get a trailer, that will become a non-issue. The handles are four-sided cut outs on the side panels. They are done well and provide a positive grip, while leaving the cabinet sides clean and without protrusion. The cabinet size was planned with pickup truck bed height in mind. They fit great in my 2014 Chevy. The speakons are surface mounted in the center of the back panel. There's two NL4 jacks paralleled. They are wired +1/-1 unless you specify otherwise. There is a pole cup mounted top center. I haven't used it yet, but I think I'd like to get a set of adjustable poles and use those instead of stands next time. The bed liner coating Jeff uses is awesome. Adding a photo of the theatre venue from my mix position. There's a "booth" to my right behind the center seating section. I used to drag out a 4x8 platform and suspend it above the seats with legs and bracing, but that was a lot of work for relatively little benefit. Especially with this new PA, I still get a pretty accurate representation in the corner here, plus I have a cleaner way to run my digital snake to the stage and can use regular tables! One can see the 3TX on stands. The subs are just inside the stairs on either side of the stage on the floor. Drive is on the floor by the SR speaker stand. In addition to the text response, here are some more photos that I took today while unloading from the last show into storage. Front view showing size in relation to the truck bed. For the record, this is actually how I had them loaded, with the 3TX to the right of them on top of my small amp rack. Unrelated: I can't wait until I can get a trailer, so I can leave things on dollies and wheels all the time.